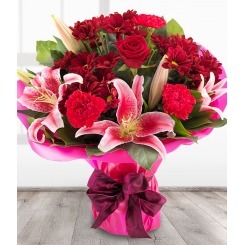 Flowers for that special occasion, whether that be flowers for Valentine's Day or an Anniversary. 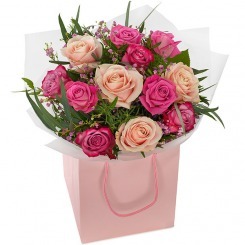 Get your roses and more here, from Chambers Florists. 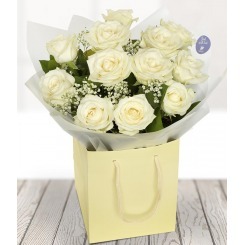 12 white roses with a touch of gyp and foliage in an aqua handtied bouquet. 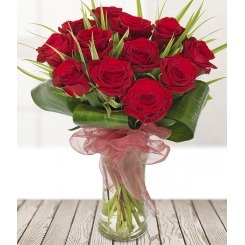 12 red roses and foliage hand-tied in a vase. 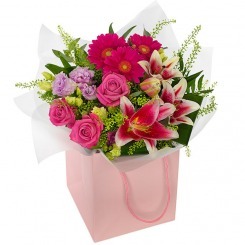 12 roses in pink shades displayed in an aqua handtied bouquet. 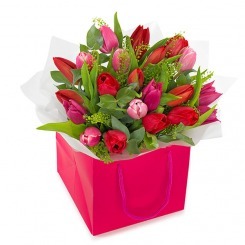 A stunning aqua handtied bouquet of pink and red tulips. 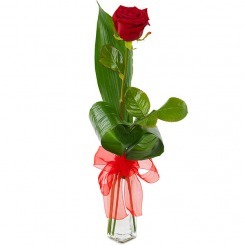 A single red rose displayed in a vase.